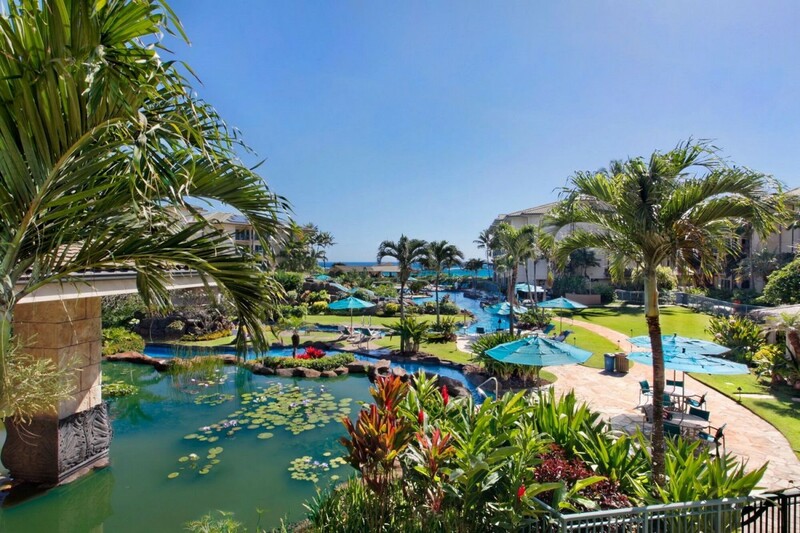 Luxury Garden, two bedroom, three bathroom Ground Floor Condo at this Beachfront Resort located in a quiet tropical garden setting. Perfect for couples or families! just steps to the sandy beach, heated pool with water slides, sandy bottom jacuzzis, and sandy beach pool for children! Waipouli B101 is a beautiful 2 Bedroom, 3 Bathroom Condo at 1st Class Waipouli Beachfront Resort & Spa on the beautiful island of Kauai.Located on the ground floor in 'B' Building, this well decorated 2 Bedroom, 3 Bath Condo offers easy access to the pool and beach with quiet privacy when returning to the condo. This Beautiful Condo features the highest quality designer furnishings for your comfort and enjoyment. Three LCD flat panel wall mounted televisions with access to On Demand movies and a large selection of channels plus a DVD player. The Master Bedroom Suite has a king size bed, a full size dresser and a Master Bath with it's own tub for luxurious baths and a separate shower. The Second Master Bedroom Suite has both a Queen size bed and a Full size bed (extra long) with master bath of its own, with a soaking tub and a small bathroom with shower. There is a queen size sofa sleeper with a new memory foam mattress to comfortably accommodate up to 8 people. *We will add $25 per night for 7th and $25 per night for 8th guest. the street. 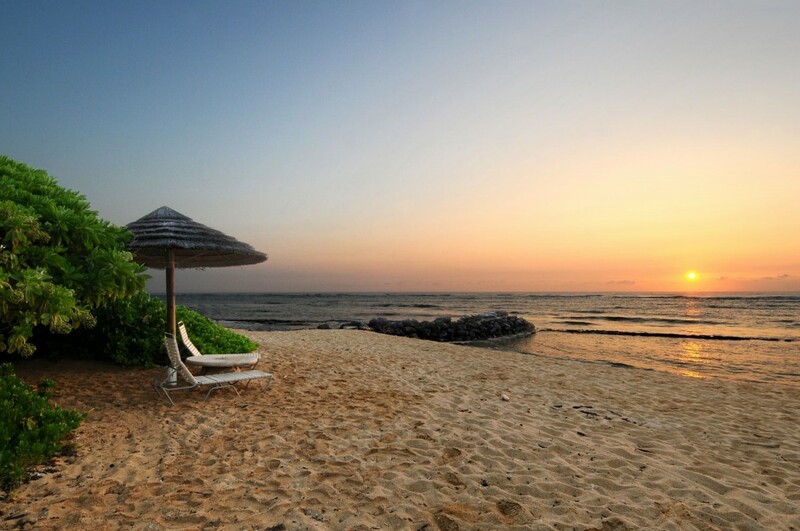 A beach walking path runs right past the resort, ideal for running or early sunrise strolls. Minimum stay is 3 nights; except for Holidays, when there is a minimum stay of 7 nights. 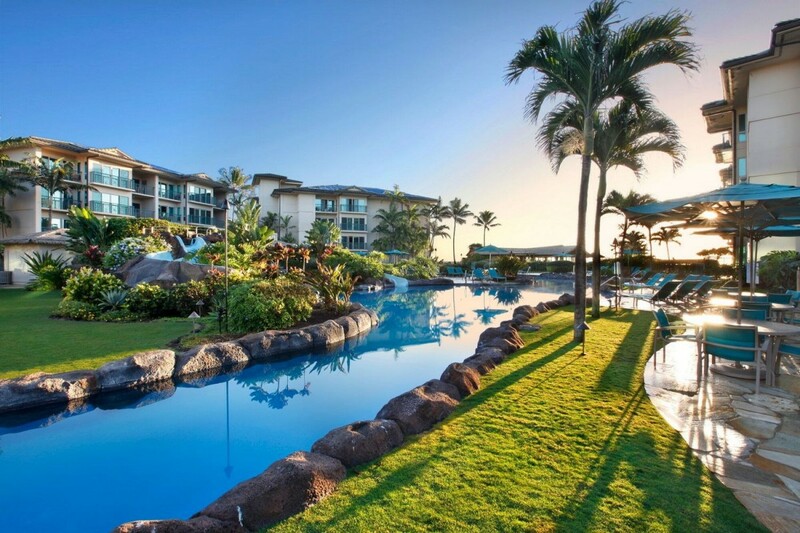 Call the Toll Free number for information and to book your perfect vacation destination: 1-888-822-2403 in Hawaii or email info@kauaicalls.com. **We will add $25 per night for each 7th and each 8th guest in 2019. 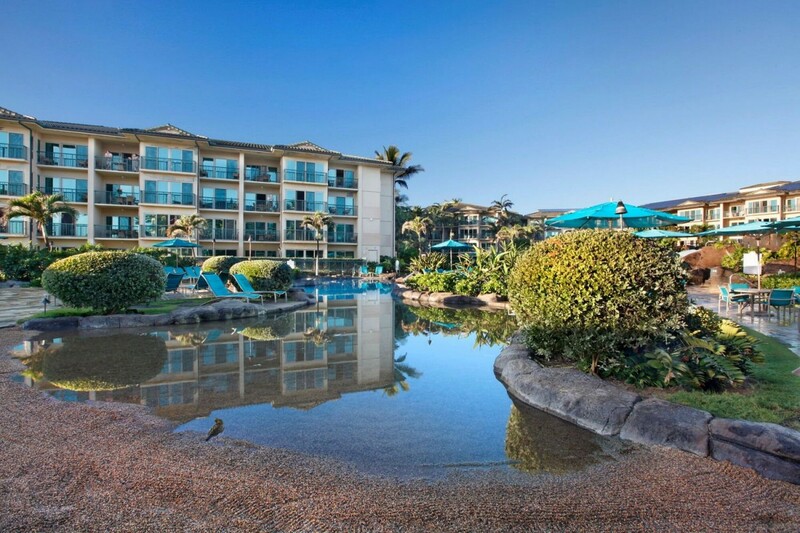 Please contact me with information regarding Waipouli Beach Resort B101. 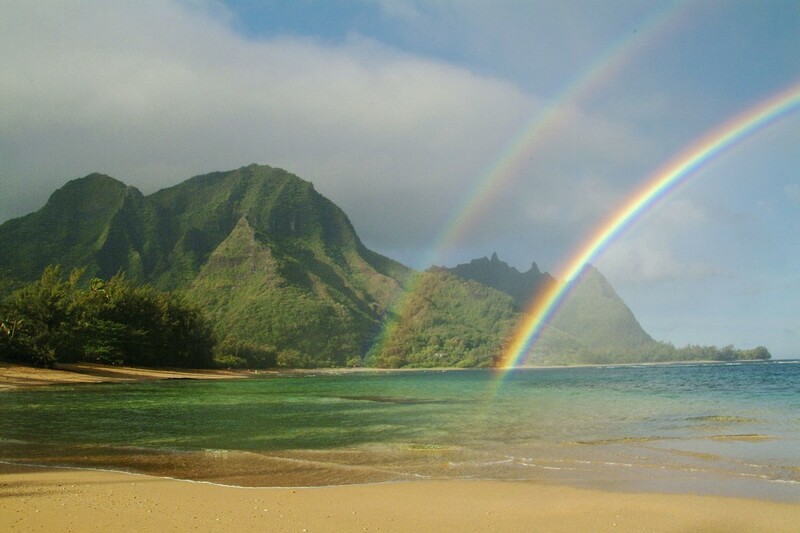 We loved our stay in Kauai! The condo was perfect had everything we needed. The property staff is very friendly and helpful. The oasis restaurant has really good food. We rented this lovely condo for a week, and it exceeded our expectations! 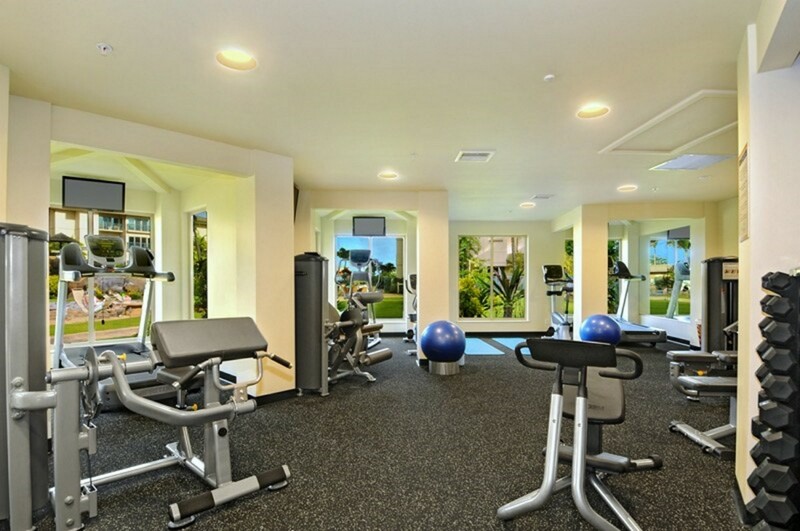 The condo is spacious, comfortable and very central to everything. Being on the ground floor and close to the pool (which was AMAZING and a joy when the surf was not as swim-friendly) was so easy for everyone. We also loved the Oasis restaurant which is by the pool: great food (breakfast, lunch and dinner) and amazing island-inspired cocktails. 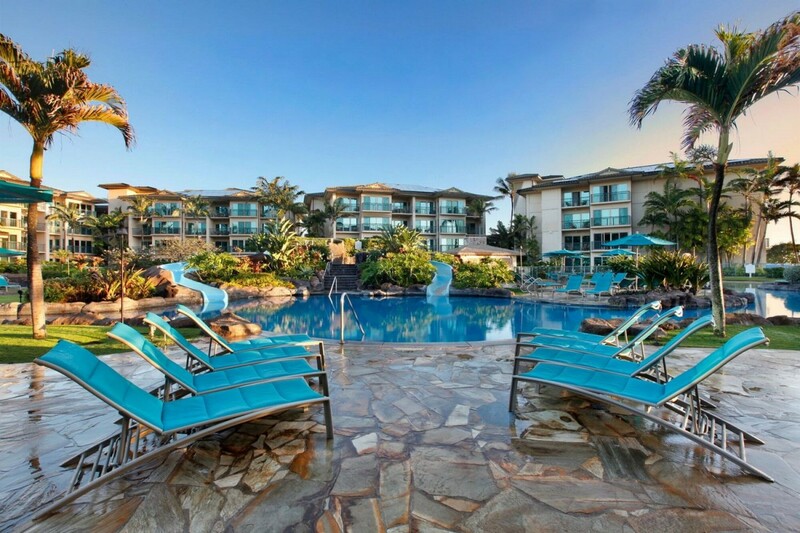 We'd stay at the Waipouli Beach Resort again in a heartbeat, and absolutely rent this condo again. The condo was just perfect for my family vacation. The pool are was great entertainment for my kids. I would definitely return to the resort. The pool was amazing, we were steps from the beach and the menu at the restaurant was incredible. 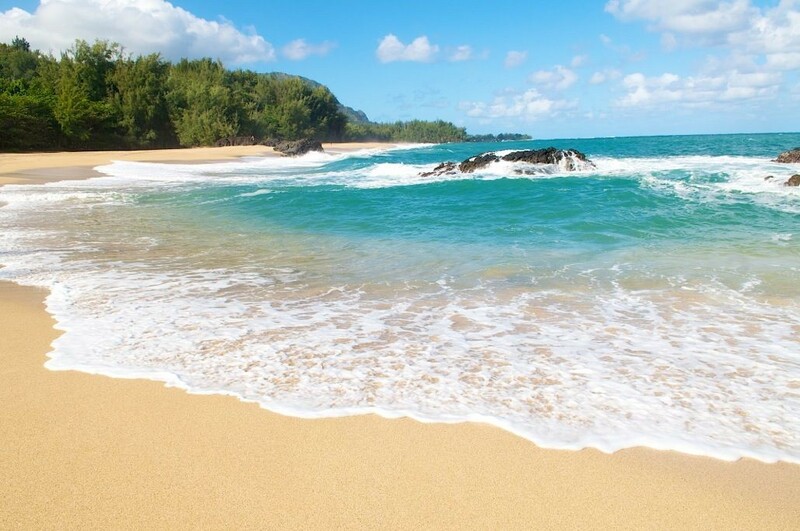 Waipouli Beach Resort continues to be a perfect place for our family to stay on Kauai. The condo is large and comfortable. Great appliances (though everything seems to have its own unique and frequent beeping sequence), kitchen is stocked with basic pots/pans/dishes. You will need to purchase all spices/salt/pepper etc. Centrally located on the east side, right by stores for food, restaurants/bars, gift shops/window shopping, bike path makes it so we rarely use our rental car, unless we want to get out to the sunny side of the island (which unfortunately, in November, east side is usually rainy). At first, being on the ground floor, facing the the parking lot seems like a downer, but in reality it is close to the pool, easy to load/unload the car, easy to run out to the beach to watch sunrise/play. What we lose in privacy, we gain in convenience. Candace and Kauai Calls are easy to work with and everything was taken care of for our stay making it easy to just relax. This vacation and this property exceeded our expectations. Kauai speaks for itself. Anyone who has traveled here understands that. It's not for everyone (i.e. no night life to speak of), but the days are huge and the island and the lifestyle are amazing. 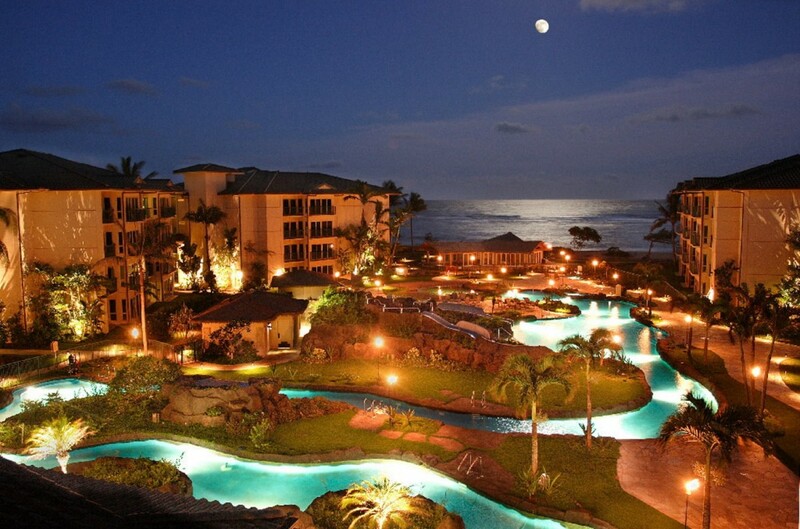 The Waipouli Beach Resort is awesome. Believe every picture you see about the location. We booked through Vrbo and Candace Mack. We had never booked through an agent before, but found the experience to be easy and convenient. The condo was immaculate and just as pictured. Having a full kitchen and storage space allowed us to stock up on groceries (Safeway across the street) and save a couple bucks. Additionally it made our stay more relaxing because we could enjoy a nice breakfast in our condo instead of going out. I would recommend Candace and her properties to anyone staying on the island. You might think not having housekeeping and concierge would be an issue, but it actually ended up being a plus. There was no check in and it almost felt like it was our own place. Additionally it was nice not worrying about housekeeping coming through your room everyday and having a full washer and dryer allowed us to actually come home with all clean laundry. It was just nice having all the conveniences of home in that condo. We had a great trip and would recommend the property and Candace Mack to anyone staying on the island. 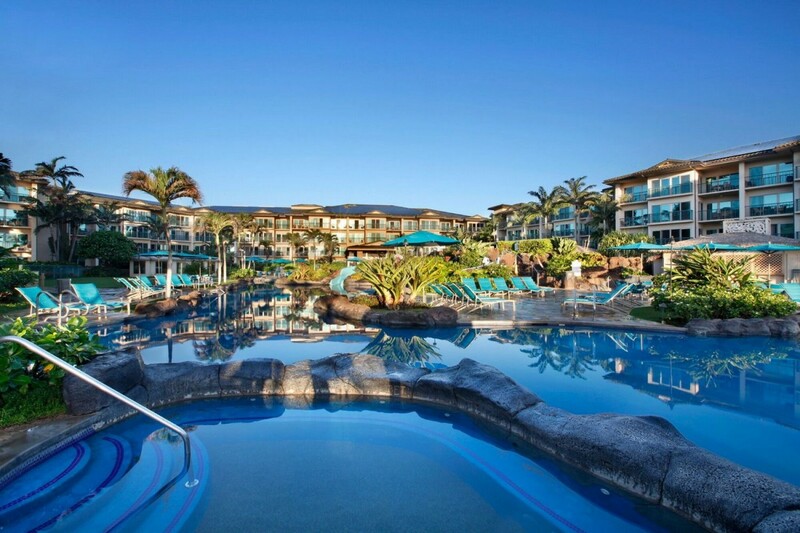 Waipouli Beach Resort was the perfect place to spend a quiet 10 days for our honeymoon. The condo was well equipped, providing all of the comforts of home. 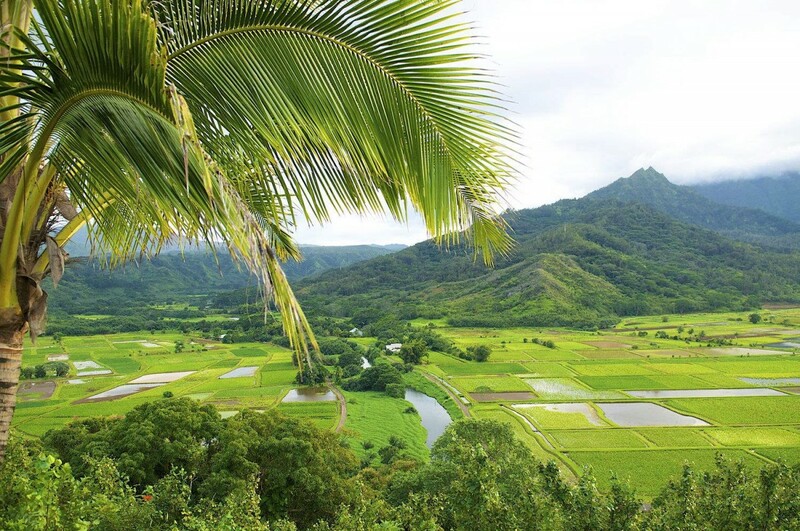 Kapaa is centrally located, allowing for easy day trips to the North, South and West coasts. The only negative aspect of our stay was that it was too dangerous to swim at the beach by the resort. As a result, we travelled south to Poipu or sat by the pool. 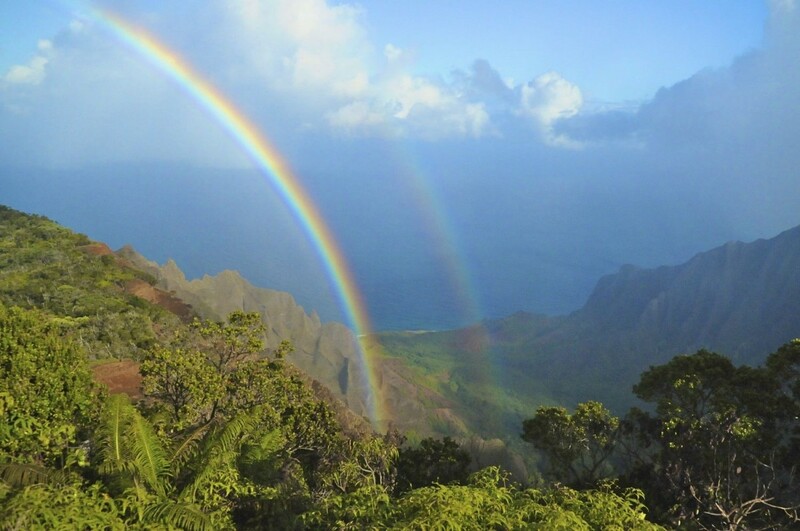 Overall, it was a fantastic stay and we found Kauai to be an absolutely beautiful island. Candace was friendly and fantastic to work with, going out of her way to help us when she could. 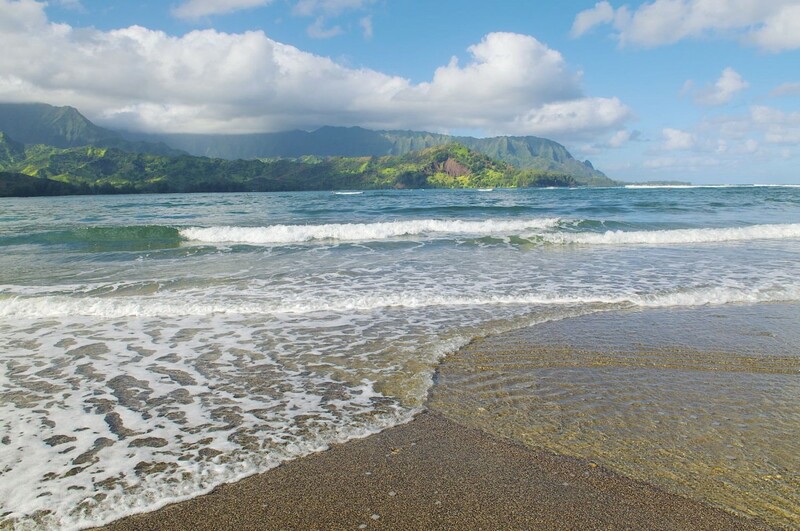 KauaiCalls has done a terrific job in providing a complete program for vacation rentals. Everything from the contract, the billing and the property access was flawless. We never had to stop a meet with anyone. The access codes were sent to our phones and we didn't waste of precious minute of our vacation. All answers were easily retrieved via text. The unit was exactly as described and highly desirable vacation accommodations. Everything in the unit was fully operational and in excellent repair. 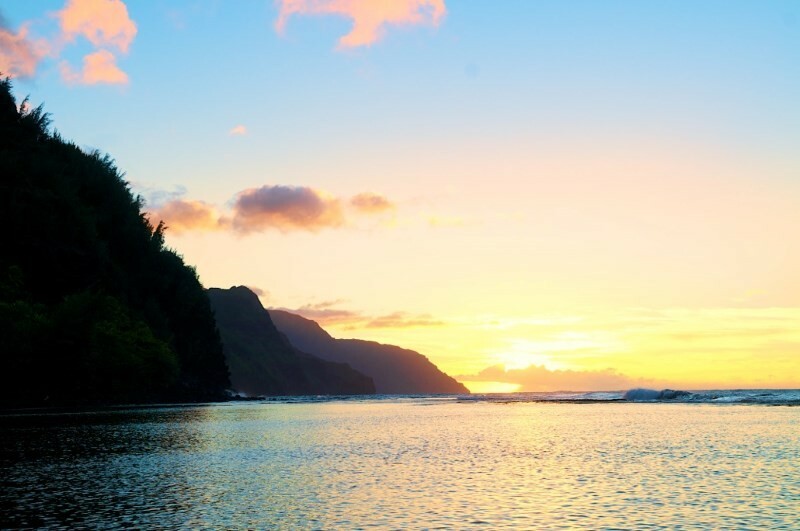 I would definitely recommend using KauaiCalls to anyone seeking a Kauai holiday. We will definitely be back. The B101 unit is nicely situated within the complex and is decorated in lovely island plantation. It is convenient in that it is close the to car park and to the main pool complex. If you require a view, select a different unit. We enjoyed the ground level and easy access. It is well provisioned in terms of kitchen wares, appliances, bedding, etc. I love the touches like boogie boards, lanai furnishings, etc. I might try another unit at Waipouli next time.